These lessons aren’t songs. They’re useful techniques and ideas, information and theory that will enhance your playing, no matter what style or song you choose to perform. I put these up on the site from time to time and you’re welcome to make suggestions for other lessons you’d like to see. 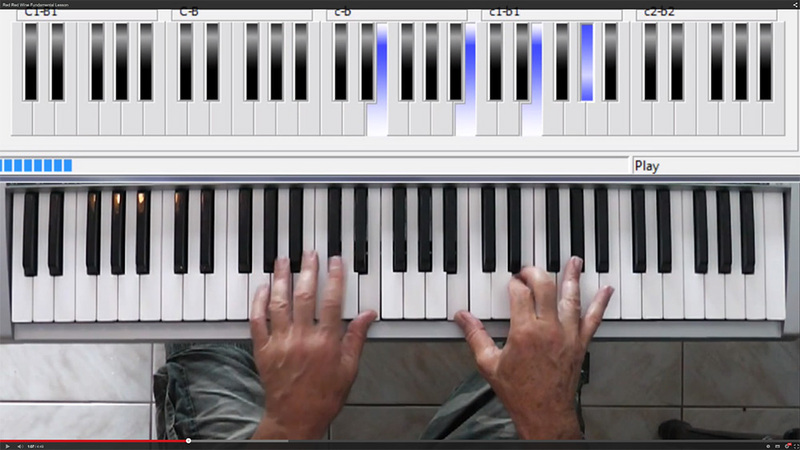 You’ll see the unique keyboard display I’ve developed and get a real experience of how I take you through the songs.